Cheesecake is delicious by itself. But what about when it tastes also like a delicious pie? This keto pecan pie cheesecake is the best of both worlds! No-bake desserts are super easy to make and delicious. 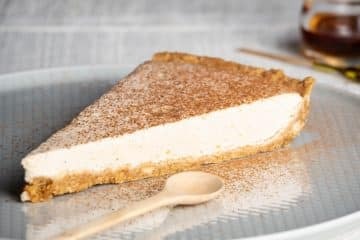 This keto no-bake pumpkin pie cheesecake is no exception and has all of that wonderful pumpkin taste!